This page provides you with practical information about South Suburban Gastroenterology. It includes descriptions of our office location, including a map and directions, hours, appointment scheduling, insurance acceptance and billing policies. We know you have many choices when choosing a Gastroenterologist in Homewood, IL so we have made requesting an appointment a simple and convenient process via our Web site. If, for any reason you cannot keep a scheduled appointment, or will be delayed, please call us as soon as possible. Payment can be made by check, money order, cashier check, cash, credit card. We provide financing options for Self pay patients. 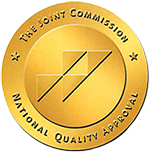 Our office is accredited by the JOINT COMMISSION. The unit consists of three well equipped procedure rooms and 14 recovery beds. The Team: Our team is made up of a combination of physicians, registered nurses and medical assistants who are all dedicated to your care. All nurses are licensed by the state of Illinois. If you have a procedure, you will be greeted by our front desk staff. You will be brought to the procedure area in as timely a fashion as possible and attended to by a registered nurse with special interest in gastrointestinal endoscopy. The team performing your procedure will include your physician, a nurse anesthetist and a medical assistant who will assist your physician. Following a procedure you will return to the recovery room where you will be monitored by an R.N. until you have completely recovered and been discharged. Infection Control: This practice educates staff upon hire and annually thereafter in hand hygiene, following the guidelines defined by the Centers for Disease Control and Prevention. We encourage staff to stay home when they are sick. We provide tissues and garbage cans throughout the facility and encourage everyone to cover their mouth when coughing or sneezing and then wash their hands. Should you have a procedure or surgery in this organization we want you to know that we value patient safety. Therefore you may hear us performing certain tasks or asking certain questions that may surprise you. Even though we may know you we will ask you identifying information such as your date of birth or your address besides asking you to tell us your name. We take a pause or a “time out” before we actually start your procedure to assure one again that we have everything that we need and the entire team is in agreement. This organization adheres to strict infection control measures before during and after your procedure including but not limited to: procedural technique, the environment of care, care of equipment and instruments, and education of all staff in the most up to date infection control measures.Your Anesthesia Provider: Additionally, this organization utilizes Board Certified, credentialed anesthesia providers, with many years of experience and training licensed in the State of Illinois.